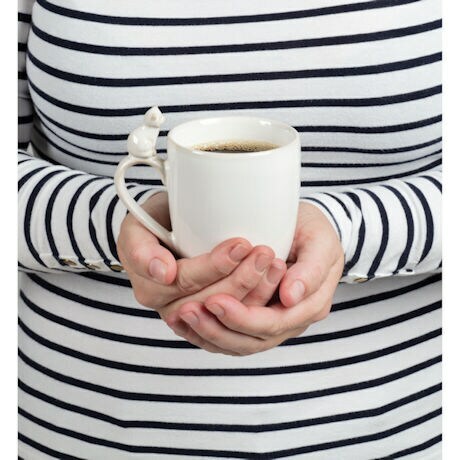 Have coffee or tea with a friend. Cream-colored 10-oz. 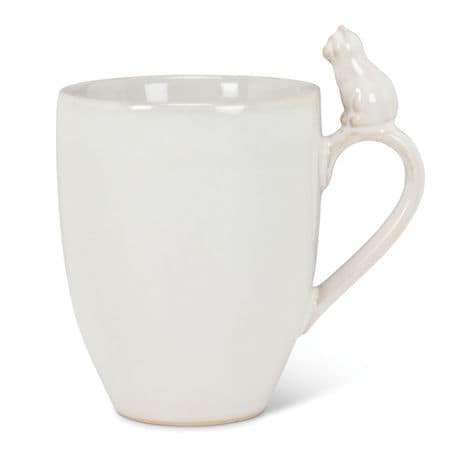 stoneware mug is perfectly plain except for the little cat perched on the handle. A sweet gift for the cat lover. Hand washing recommended.